The Laser Ammo Recoil Enabled Airsoft Laser (R.E.A.L.) Conversion Kit includes a replacement drop in barrel for the KWA ATP-LE airsoft pistol and a vibration activated SureStrike™ laser cartridge. The R.E.A.L. Kit will have everything you need to convert the KWA ATP-LE airsoft pistol into a laser emitting full blowback training pistol. Installation of the R.E.A.L Kit is done simply by replacing the stock barrel with the Kit assembly, and will enable users to start training with any of our electronic targets, training software or Smokeless Range ® simulator with 100% safety. The SureStrikeTM Vibration cartridge is a 9mm cartridge that activates by the Vibration of the Airsoft and not by the firing pin like the conventional SureStrikeTM laser cartridge. 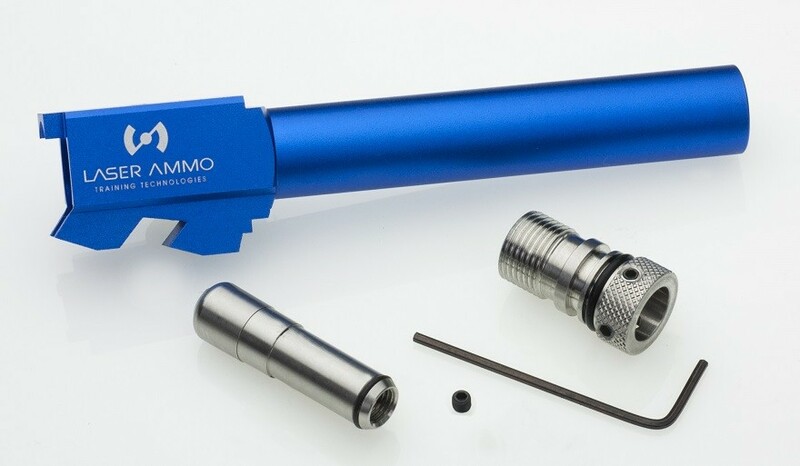 The Vibration cartridge will convert your Airsoft to a laser emitting Airsoft pistol for a full blowback dry fire practice together with The Recoil Enabled Airsoft Laser (R.E.A.L.) Conversion Kit. Choose between red or infrared laser cartridge. If you are using the Smokeless Range® with any airsoft pistol, we recommend using an IR SureStrikeTM Vibration Cartridge. The REAL Kit ATP-LE includes everything you need to convert your KWA ATP-LE into a recoil enabled training pistol. KWA ATP-LE airsoft pistol and green gas not included, these items must be purchased separately. 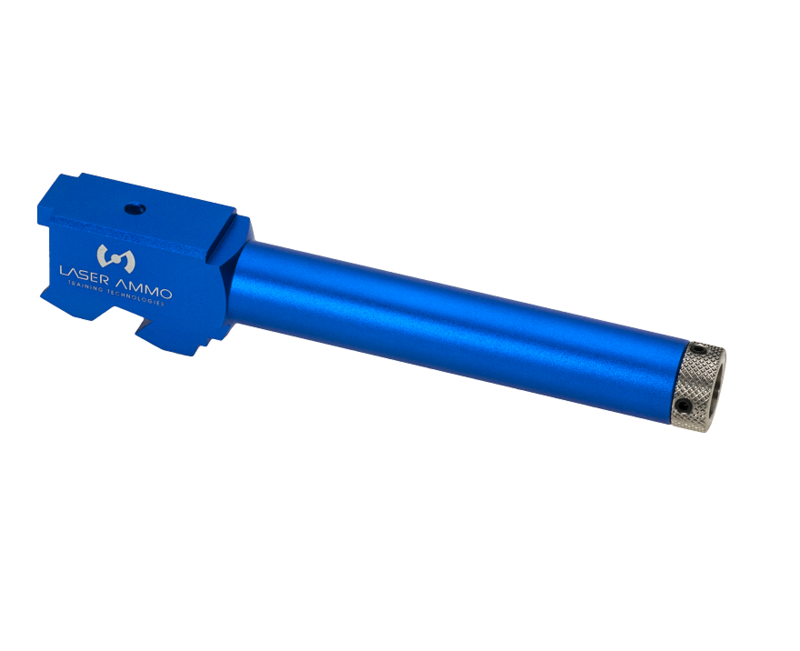 Using the KWA pistol with the REAL barrel may limit or revoke the airsoft pistol warranty. KWA Performance Industries offers a 90-day warranty from the original sale receipt. Please submit all RMAs through Laser Ammo. This package is the closest thing to live-fire on the civilian market today. The REAL barrel is quick and easy to install, highly accurate with quick and easy alignment. Install the REAL Kit into the KWA ATP-LE to simulate an operational firearm. This product activates all Laser Ammo electronic targets, training software and simulator and does not interfere with laser sighting or flashlight attachment. The magazine simulates a loaded weight magazine. This training pistol is perfect for concealed carry or pistol firing technique training, fits inside standard holsters, 100% safe to use anytime anywhere. In addition, the KWA ATP-LE is great for force on force training and is available in MILES configuration. 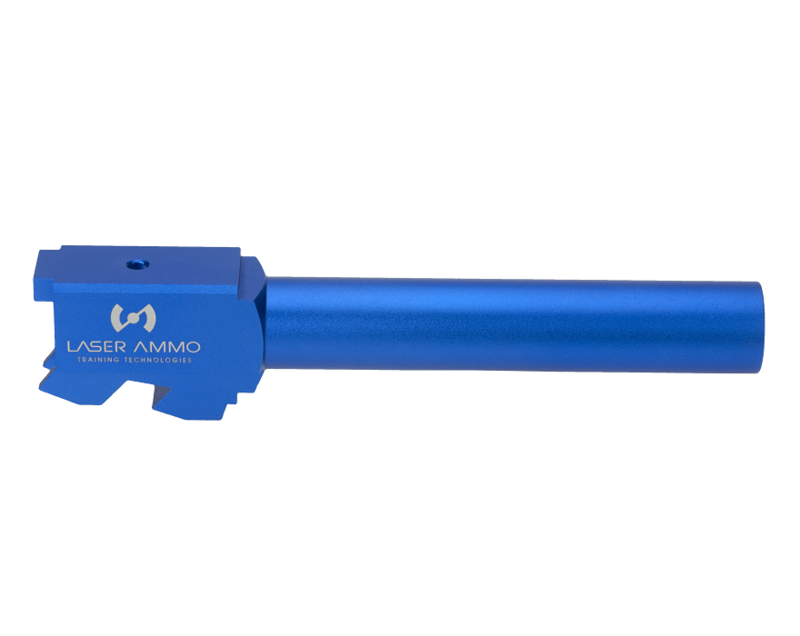 Laser Ammo offers R.E.A.L. conversions for other airsoft models for minimum orders of 50 units.